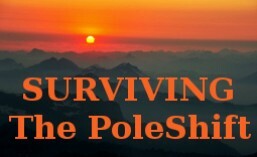 This entry was posted in General, Videos and tagged After the poleshift, AfterTime, chris thomas, Earth Pole-shift, effects of the poleshift, kolbrin warnings, nibiru, safe locations illinois, safe locations iowa, safe locations minnesota, safe locations missouri, safe locations USA, safe locations wisconsin, surviving the poleshift, zeta talk, Zetatalk, zetatalk prophesies. Bookmark the permalink. ← New video: Safe Locations for the USA states of: Alaska, Kansas, Oklahoma and Texas.